Dr. Sandra Goldsworthy is a recognized simulation, critical care expert, researcher and author. She is the recipient of the Canadian Nurses’ Association Order of Merit in Education and one of 10 University of Calgary Teaching Scholars. Sandra is author or editor of nine books including: ‘Simulation Simplified: A Practical Guide for Nurse Educators’, ‘Simulation Simplified: Student Lab Manual for Critical Care Nursing’ and ‘The Compact Clinical Guide for Mechanical Ventilation’. Dr. Goldsworthy is the Associate Dean Teaching, Learning and Technology and Associate Professor in the Faculty of Nursing at the University of Calgary. In addition, she holds a Research Professorship in Simulation Education. 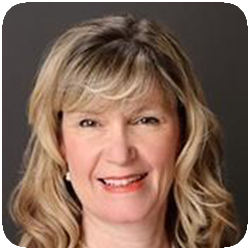 Sandra holds three national certifications: Canadian Nurses Association credentials in Critical Care and Medical Surgical Nursing as well as CASN Canadian Certified Nurse Simulation Educator credential (CCNSE). She is a member of a number of national and international committees including her role as Director on the World Federation of Critical Care Nurses Association Board. Dr. Goldsworthy is passionate about improving patient safety and provider preparation through simulation. Her research program focuses on the impact of simulation in building competence as well as critical care nurse work environments and retention strategies.